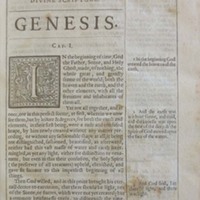 "A paraphrase vpon the hard tests of the New Testament" has special t.-p. dated 1632, and separate paging and signaturing. , 621 (i.e. 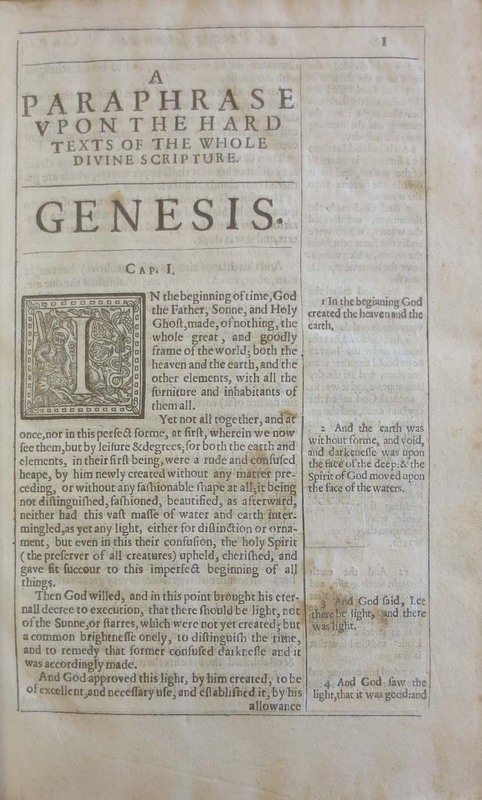 611), , 427 (i.e.425),  p.
Hall, Joseph , “A Plaine and Familiar Explication (by Way of Paraphrase) of All the Hard Texts of the Whole Divine Scripture of the Old and New Testament,” Digital Exhibits - UWM Libraries Special Collections, accessed April 22, 2019, http://liblamp.uwm.edu/omeka/SPC2/items/show/52.